VNTower focuses on design solutions and initiatives to optimize and simplify design to facilitate production and installation processes and save cost as well as improve quality products. Solutions include the rapid deployment sites, sites with non-concrete foundation, pneumatic telescopic masts, rooftop solution sites, etc. 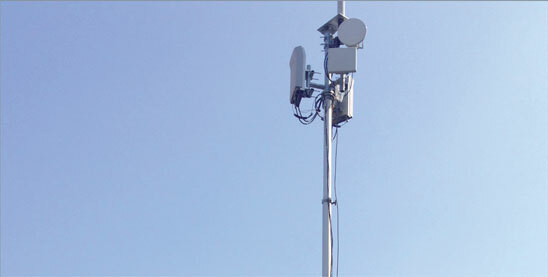 VNTower provides solutions for customers in various fields such as telecommunications and television. The camouflage tower is designed and supplied in the form of palm trees, which are appropriate for city complexes, resorts and urban areas where aesthetic landscapes are required. Rooftop site solutions are designed and manufactured to solve rapid deployment with non-concerte foundations. In case of site relocation or site removal, site recycling can be used for new locations. Non-penetrating solutions are suitable for stations in mountainous areas where on-site concreting is difficult. The solution is economically effective for sites less than 40m high. Telecom-lamp-posts are suitable alternatives for sites in streets or urban areas.